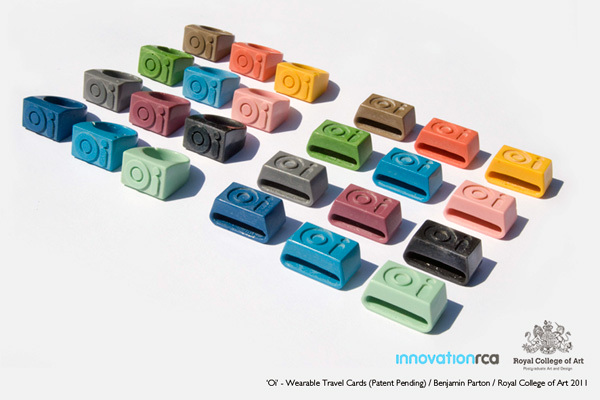 Beautiful and functional, wearable transit cards will eliminate fumbling while boarding buses and metro. Photo via Yanko Design. Knowing that your transit card is on your finger or around your wrist, you’ll never fumble to find your card again. Thanks to Benjamin Parton, who recently received a master’s degree in product design from the Royal College of Art, Oyster, London’s transit smartcard, is getting a complete redesign. 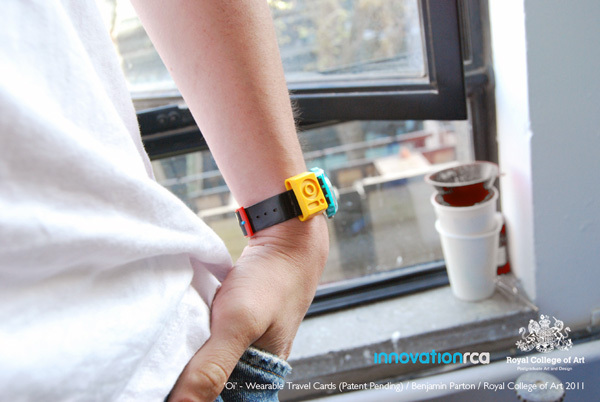 Called Oi, the wearable transit card comes in the form of a ring or a “watchstrap widget” in order to improve functionality. The project is part of InnovationRCA, a program of the Royal College of Art that manages and commercializes intellectual property, and leads knowledge transfer programs, like helping students integrate business skills with creative practice. According to Yanko Design, Oi uses the same radio-frequency coil infrastructure as the existing Oyster cards. The product can also be bent and twisted without damage to the internal components, and it is unaffected by interference from other radio frequency devices. We can only hope that it’s also waterproof. The existing Oyster card is a plastic smartcard that commuters use on the bus, Tube, tram, Docklands Light Railway, London Overground and most National Rail services in London. According to Transport for London, the Oyster is the cheapest way to pay for single journeys and can store credit for multiple trips. Currently, the patent for Oi is pending. Stylish design to smart cards is a creative marketing approach to public transit. Photo via Yanko Design.